Great news for our team in Lilongwe as our first urban spotted hyaena was captured and fitted with a satellite collar! This is the first hyaena we have managed to satellite collar in Lilongwe and the animal should give us a fascinating insight into hyaena movement and behaviour in this urbanised environment! It's great to finally get one collared and we look forward to seeing what this collar will reveal about life for a large carnivore in the city! We are conducting field research to assess the ecology and distribution of carnivores in Kasungu National Park Malawi to inform conservation management. We are currently recruiting for a Research Assistant to assist in all aspects of our research in Kasungu National Park. CRM are seeking applicants for the position of Urban Carnivore Research Assistant based in Lilongwe, Malawi. This is a full-time voluntary position conducting behavioural ecology field research to assess the urban spotted hyaena and other carnivores in the capital city of Lilongwe, to inform human-wildlife conflict management (www.carnivoreresearchmalawi.org/urbanhyaena). CRA are recruiting for a Science Communication and Marketing Assistant to assist us in developing the public profile and outreach of CRA and all the projects under it; ABC, CRM and UWP. The position is primarily based at our research office in the capital city Lilongwe with some time spent at our research camps in Liwonde and Kasungu National Parks. 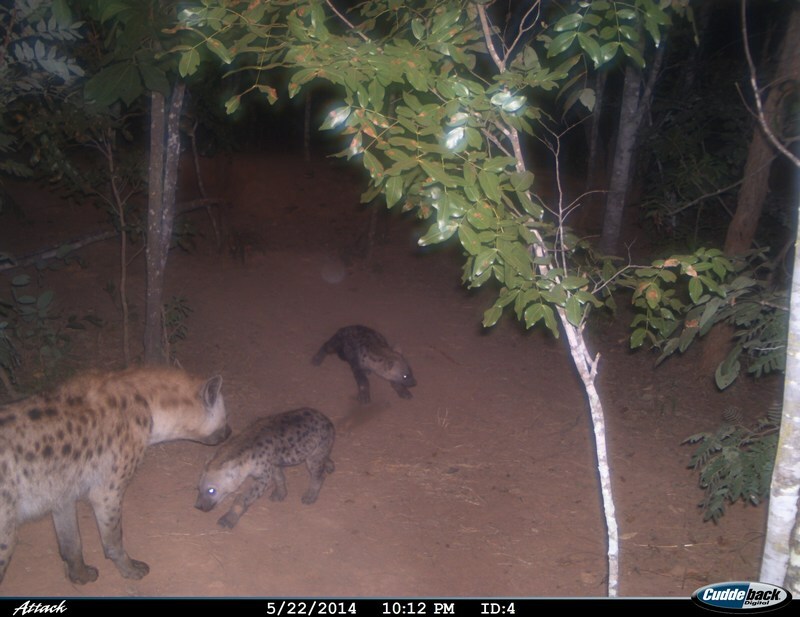 Cubs from the resident hyaena clan seen for the first time! Carnivore Research Malawi have been in the process of habituating Liwonde’s resident clan of nine Spotted hyaenas, and have been rewarded with their first sighting of the two cubs. Now around five months old, the team watched the cubs feeding on a bushbuck carcass along with five adults and subadults from the clan. The habituation process is vital to CRM’s research as it will allow behavioural data to be collected, enabling the analysis of intergroup dynamics between the park’s resident clan and the introduced clan. 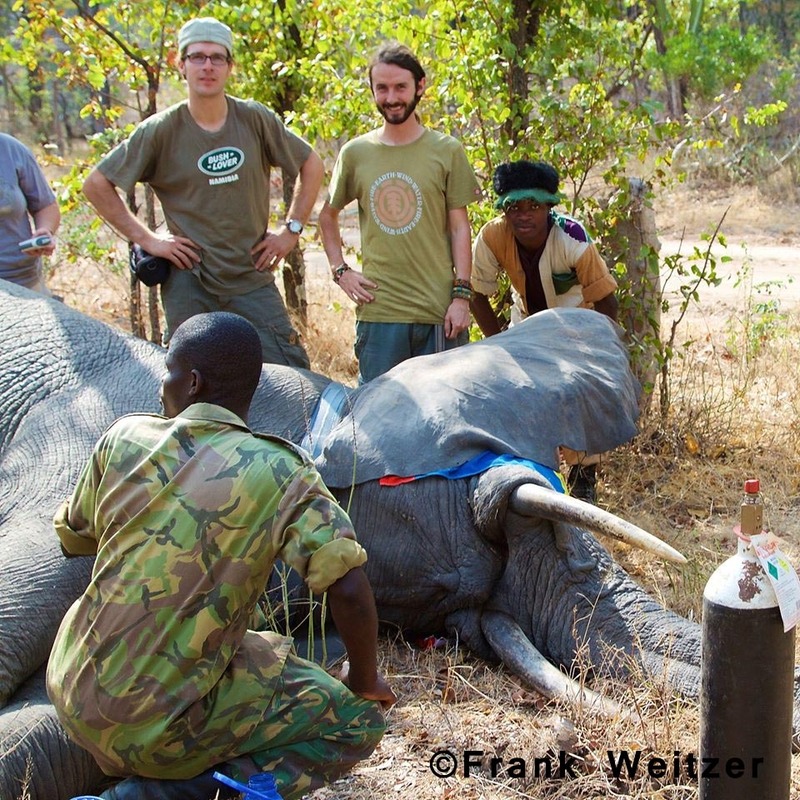 Our Senior Research Assistant Rob Davis assisted the Wildlife Emergency Response Unit - WERU Malawi, in the darting and collaring of a bull elephant in Liwonde National Park this week. The bull had a snare wound on his leg, so the operation was to check the wound and place a temporary collar on the bull to assist in relocating him when a full vet check-up can be done in the next few weeks. Both the darting and collaring went very smoothly thanks to the skills of the team and Amanda the vet. 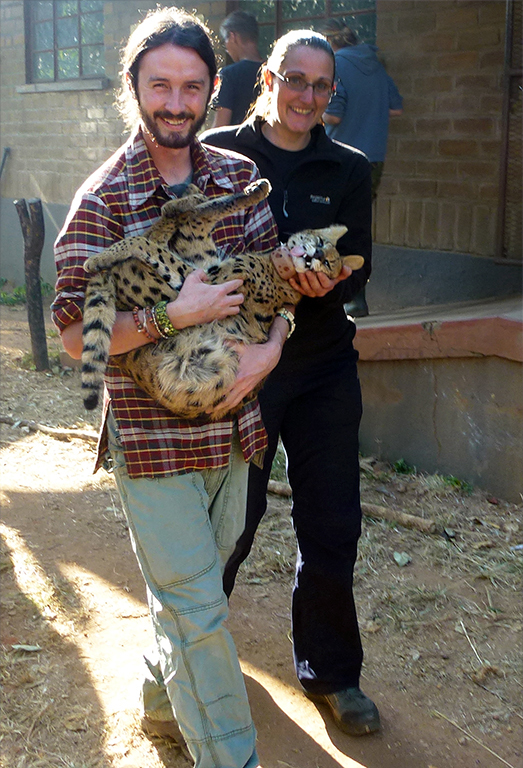 Our Senior Research Assistant Rob Davis will soon be starting his PhD with us on the Behavioural Ecology of Leopards in October through our partners Nottingham Trent University! 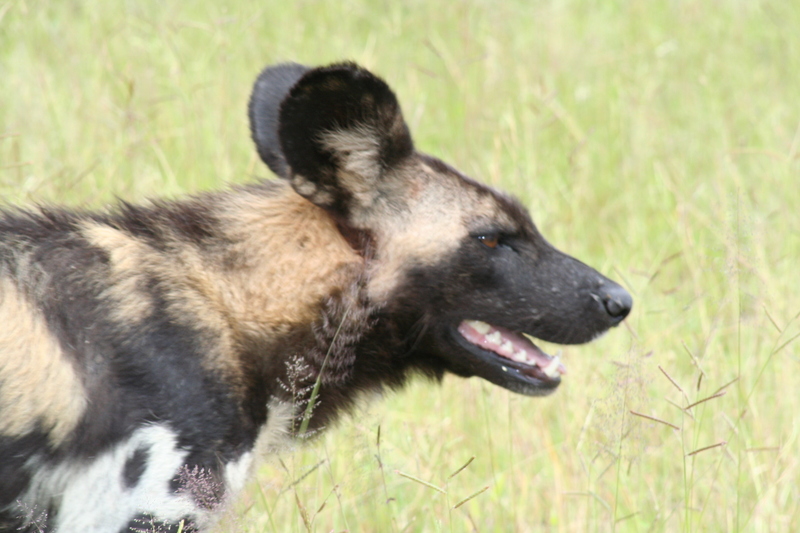 His research will take place in Nyika National Park - Malawi’s largest and oldest reserve, with an area of 3200 km². The park is estimated to have one of the highest densities of leopard in Central Africa, and the only viable population in Malawi, but no studies have yet looked in detail at their distribution or population. 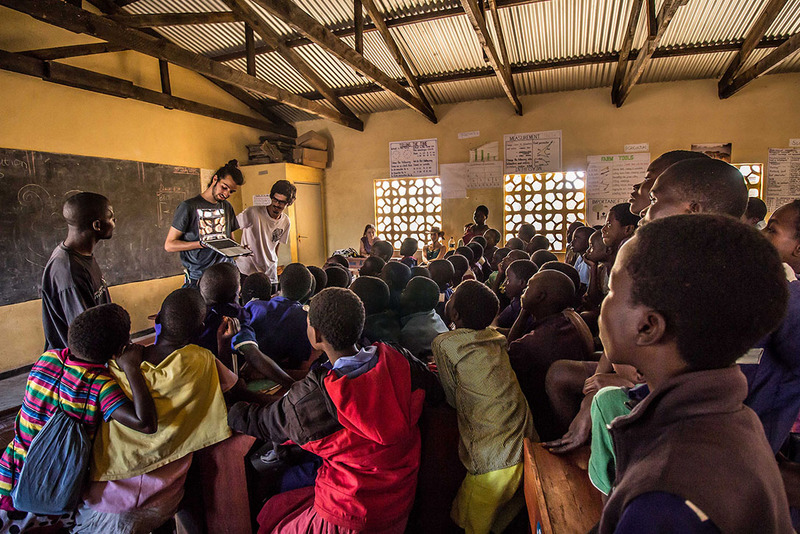 CRM volunteers Giorgos and Faidon did a talk on hyaena ecology and our recent release in Liwonde National Park for the children of Nanthomba Primary School. The children were excited to see our pictures and videos of the release as well as giving us their best impression of a hyaena whooooop! Hopefully the talk helped to change some attitudes towards hyaenas and gave the children a better understanding of this misunderstood carnivore! Thanks to H.E.L.P Malawi and Central African Wilderness Safaris for their assistance with the talk. With support from Lilongwe Wildlife Trust (LWT), Central African Wilderness Safaris (CAWS), Airtel, Nottingham Trent University (NTU), the Wildlife Emergency Response Unit (WERU, a joint initiative between LWT and DNPW) and AGS Movers a hyaena clan was successfully released into LNP on Monday 13th April 2015. Find out more about the project on the translocation page or download the current project report here. The LWT and CRM team successfully collared two hyaenas ready for release in LNP in February. 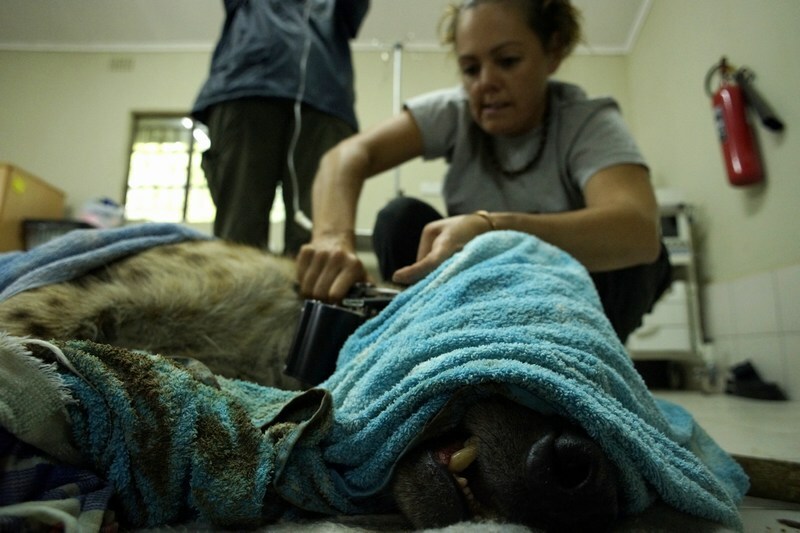 Both animals were trapped early in the morning and moved to the vet clinic at LWC for collaring. Once sedated the LWT vets gave them a full health check and both collars were tested and then fitted. The event was a success and both animals recovered and were back on form by the afternoon, ready for their pending release. Keep an eye on the website for regular project updates to see how they get on in LNP. Fantastic news from the den as our array of camera traps reveals two pups at the den. Over time we will attempt to habituate the hyaenas so that we can track and observe them and put collars on to assess spatial behaviour and ranging patterns. 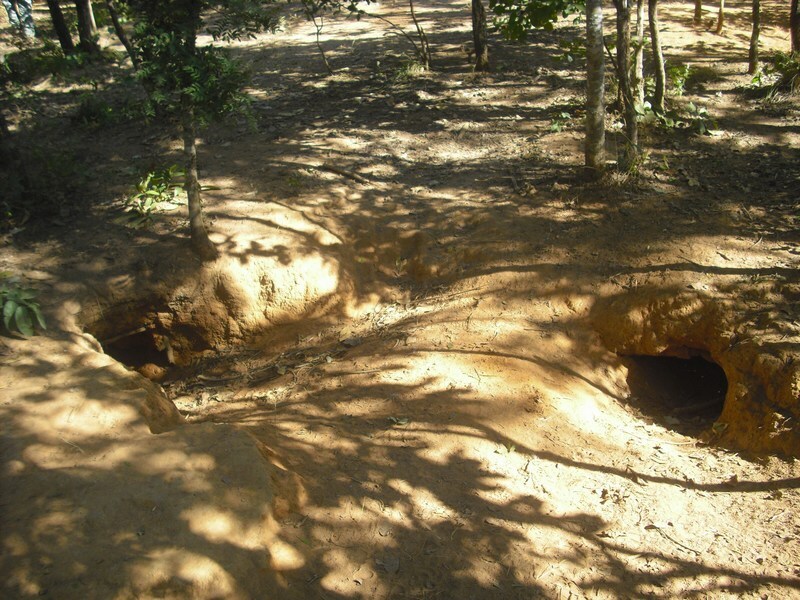 Thanks to the hard work of Rob (CRM research assistant) and volunteer Kathryn and DNPW tracking scouts we have finally been able to locate our first hyaena den. This will allow us to set camera traps and get fantastic ID shots of the hyaenas to add to the photographic survey. 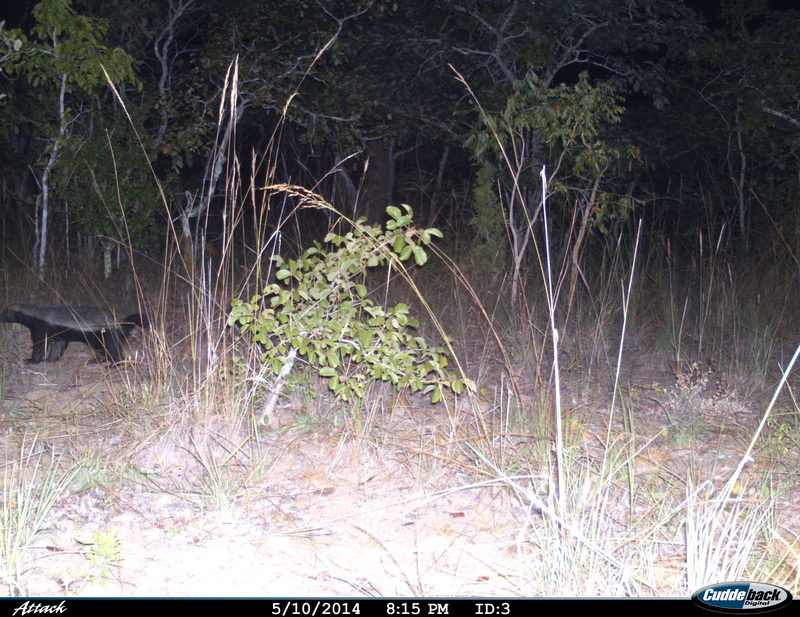 Our camera traps are kicking up a storm, with honey badgers recorded! Plus we have now seen them in the flesh on spotlighting transects also! Fantastic work!